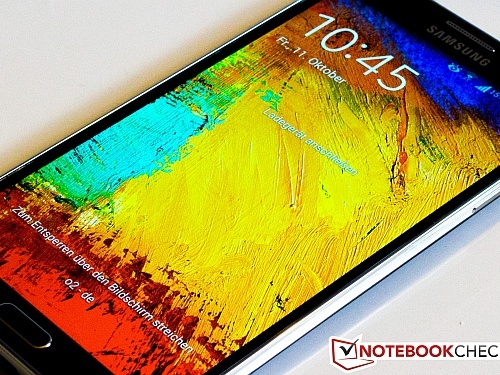 The leak shows no Android 6.0 plans for the Galaxy Note 3 or Galaxy S4 smartphones. If these latest rumors prove to be true, then owners of older Samsung devices may be getting the cold shoulder. The Galaxy Note 3 and Galaxy S4 devices are not expected to receive official Android 6.0 Marshmallow updates according to the leaked schedule. The first device to receive the update will be the Galaxy Note 5 this December. Coincidentally enough, at least one carrier had accidentally leaked the OTA update to a few owners already. 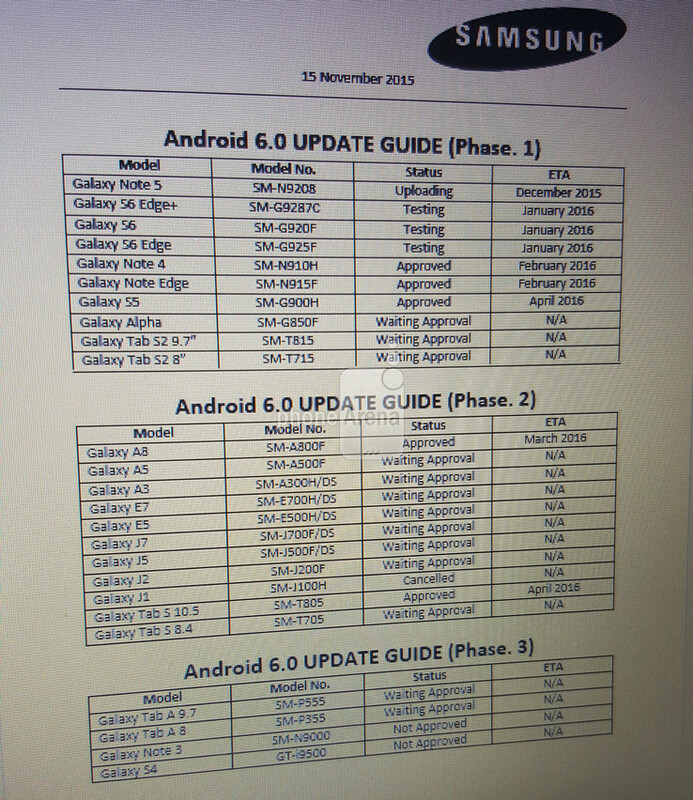 As for other Galaxy owners, the official Android 6.0 update will not be available until early next year. The Galaxy S6 Edge Plus, Galaxy S6, and Galaxy S6 Edge should all receive their respective updates by the end of January. The popular Galaxy Note 4 and Note Edge will follow in February and then finally the Galaxy S5 in April. The Galaxy Tab 10.5 tablet will also receive the update before the second half of 2016. 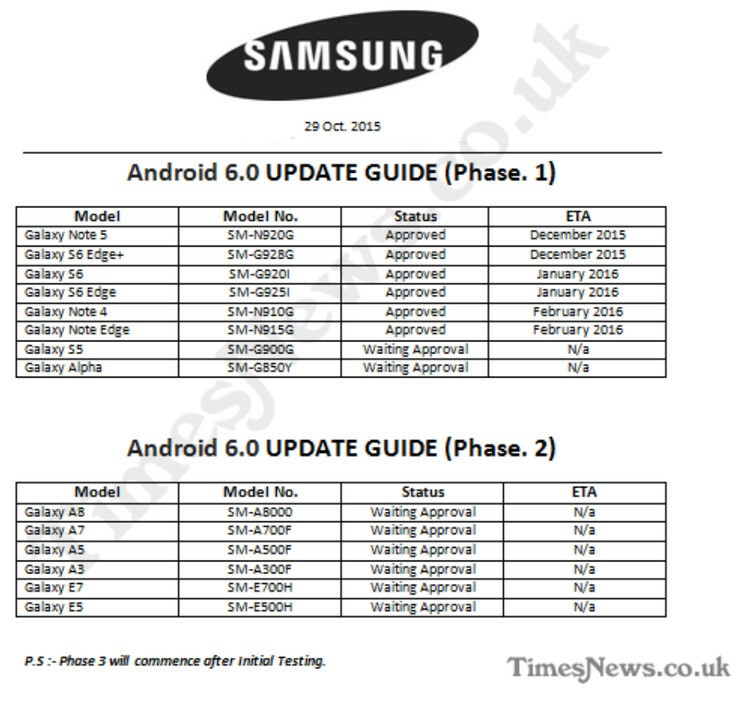 The aforementioned smartphones appear to be priority for Samsung and are labeled as "Phase 1" of the update timeline. "Phase 2" includes the less expensive Galaxy A series such as the A3, A7, A8, and the entry-level E7. Finally, "Phase 3" includes the Galaxy Tab A 9.7 and Tab A 8 tablets. Sony is one of the few manufacturers to include a smartphone as old as the Xperia Z2 as part of its Android 6.0 update plans.